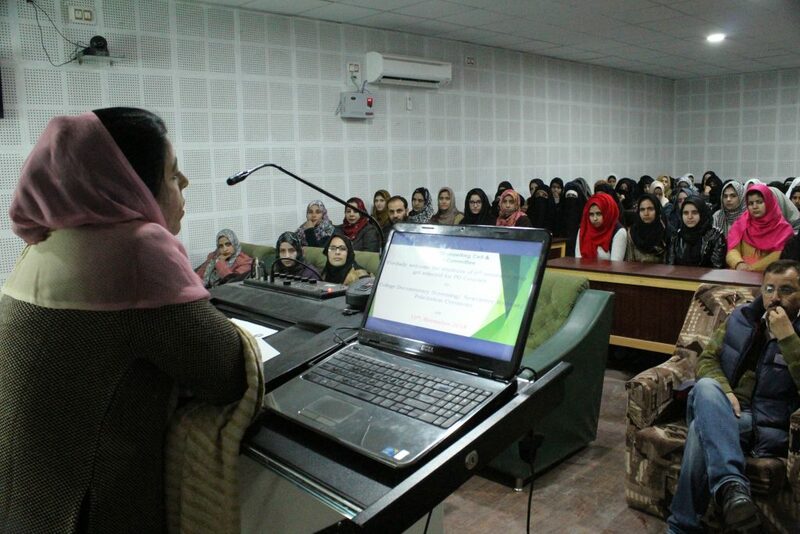 Career counseling cell and Media Committee of Goverment Degree College for Women Baramulla organized College Documentary screening, Newsletter Release and alumni felicitation ceremony in Saturday. 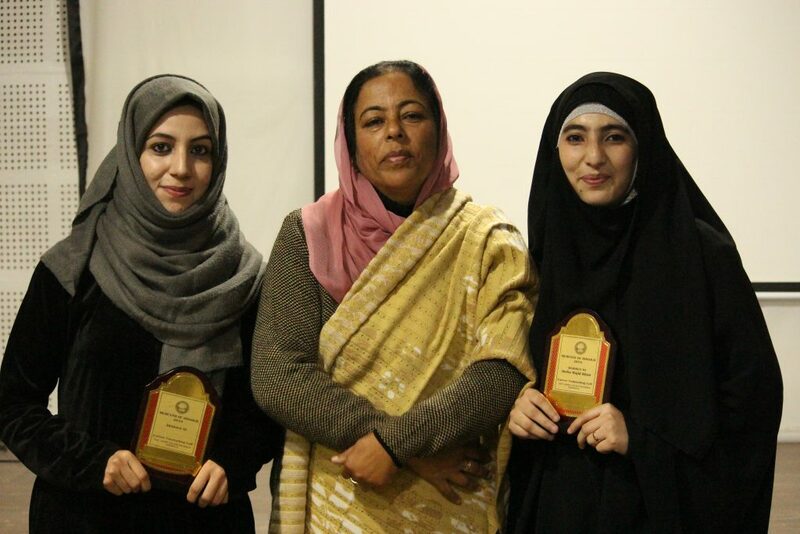 At the outset college documentary 2018 depicting the various services, streams, facilities, infrastructure, teacher students views etc was screened which was followed by Presidential address delivered by Prof. (Dr.)Fahmida Bano, Principal of the college. Meanwhile College Newsletter “Al-Nisa” was officially released by Principal of the college in presence of Dr Tariq Hussain Bhat (HoD Commerce) and other faculty members. Alumni who have recently graduated from the college and have qualified P.G. entrance exams in various Universities. 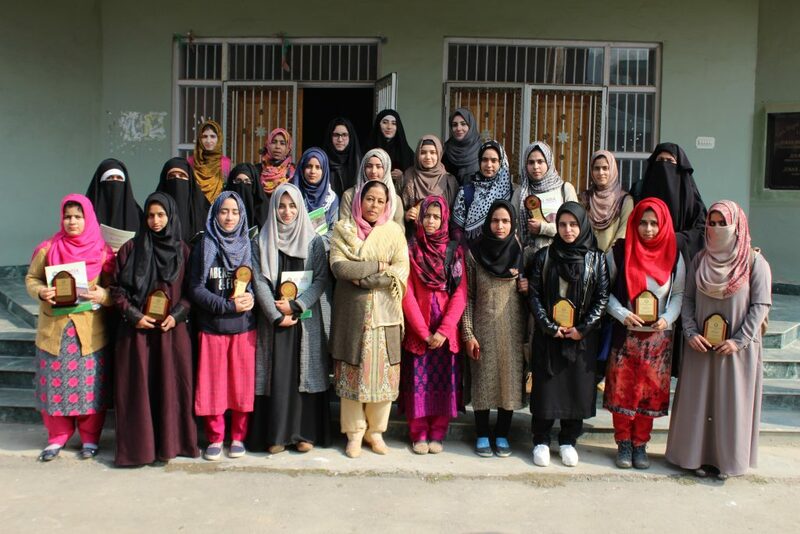 The felicitated students include Sehrish Sherwani, Sahana, Sabreena, Insha Majid, Syed Sania, Shafeequa Akhter, Masrat Hamid, Aaliya Jameel, Sanam Naseer, Iqra Rashid, Asmat, Tahira Manzoor, Jabeena Sultan, Sehrish Muskaan, Insha Mustafa, Tahmeena, Ishrat, Iram Bashir, Insha Nissar, Sabiya Mushtaq, Qurat ul Ain, Rukhsana, Iffat Ali Lone, Sobiva Parry, Iqra Farooq, Qurat, Iram Irshad, Neelofar, Mohsin, Afreen Shafi, Tehnujat, Mehvish, Qazi Suhan, Maswal Mehraj and Iqra Shakeel. Programme concluded with vote of thanks presented by Dr. Mohammad Yousuf Wani. The programme was moderated by Dr. Ali Mohammad Lone and Prof. Zahid Fayaz Darzi and Programme coordinators were Prof. Nisar Ahmad Lone, Dr. Ali Mohammad Lone and Prof. Zahid Fayaz Darzi.